Bunny “archaeologists,” how delightful. When the current (July 2014) issue of British Heritage arrived, its brief announcement on page nine — “Burrowing Rabbits Unearth Ancient Treasure” — had me (forgive the pun) digging for more. It seems a year ago, in 2013, a family of wild rabbits showed up in Lands End, Cornwall. 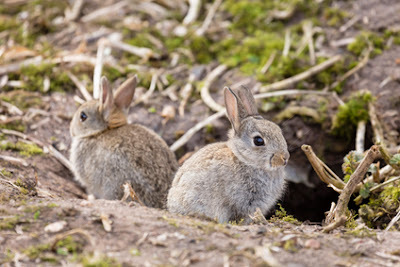 Charmed, Eddie Williams, a Land’s End staff member, adopted the furry creatures who quickly set up housekeeping creating a network of tunnels near the site’s Greeb Farm attraction. Soon Eddie noticed more than soil being tossed out of the burrows, but a variety of flint objects that appeared manmade. He contacted archaeologists at Big Heritage who in turn confirmed the items to be flint axeheads, hide scrapers and arrowheads, at least 5,000 years old.